We can all appreciate a good craft beer. Tasting each flavor and characteristic that encompases the delicious liquid. 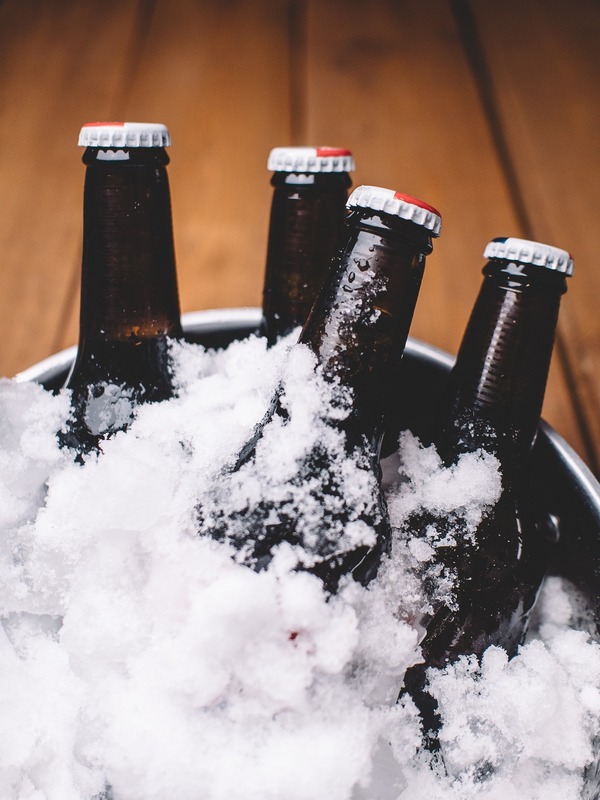 Most beer connoisseurs will say that if you have to add anything to your beer then you are drinking the wrong beer, and we would have to agree to an extent. A good beer should be enjoyed straight out of the bottle or tap without having to add anything to it, but who says you can’t shake things up a bit to get a completely different experience. Here are five cool ways to take your beer drinking up a notch. We all know that a slice of lime goes great with any cerveza, but thanks to Blue Moon’s creation of Belgian White, the use of other citruses such as orange slices are a common thing. Wheat based beers will typically have some notes of citrus in them already so the added citrus on top will help enhance those flavors and bring out the aromas. The term “shandy” is one of those words that means different things to different people. When you ask for a shandy in some countries you may receive a lime soda such as a sprite; in others, you could be handed a ginger beer or even some type of juice. Recently, the beer industry has been seeing an increasing amount of shandy beers. These are beers that have been infused with a lime or orange soda. They do not use as much syrup as a typical soda, allowing for the beer flavors to still shine on top. Shandy beers are a great refreshing drink to enjoy on any hot day or just when you are looking for a light, tasteful drink. Hard ciders are a delicious drink to enjoy but after having a few drinks of them can really take a toll on you. One good alternative to allow you to enjoy as much as you desire without the guaranteed stomach ache is to mix it with another, malty beer. Appropriately dubbed a “Snakebite,” mixing a hard cider with a darker drink, such as Guinness, is a delicious surprise. The smoothness of Guinness pairs well with the contrasting bite of the cider drink. We can’t think of anything more perfect to go with beer, than more beer. With popular drinks such as “Black and Tans,” you get the best of both worlds when it comes to beers. You will experience two tastes of beers that will hit every taste bud on your pallet. Get the rich, toasty flavors of dark, chocolatey beers, such as Guinness, as well as the sharp bitter greatness taste that most IPA’s will have. If you are feeling adventurous, dropping in a shot of alcohol into your beers is the way to go. The “Irish Car Bomb” is a shot mixture of Jameson and Irish cream, Bayley’s, dropped into a half pint of Guinness beer which, if drunk quickly, will resemble the tastes of an adult chocolate milk. If you have ever been to a Japanese cuisine restaurant, you have probably witnessed individuals taking some Sake bombs. This fun drink allows you to slam your hands down on the table to knock a shot of sake into a glass of Japanese beer. If you are feeling extra daring then you can concoct the “Hangman’s Blood.” Described in Anthony Burgess’s novel “A Clockwork Orange” as containing gin, whiskey, rum, port, brandy, champagne and a small amount of stout, this drink will surely knock your socks off. Join Vegas Pub Crawler downtown and enjoy some new ways to drink your beers.